The United Nations Security Council on Friday granted a sanctions waiver to the shipment of equipment to North Korea for video reunions for families separated by the 1950-53 Korean War, diplomatic sources said. 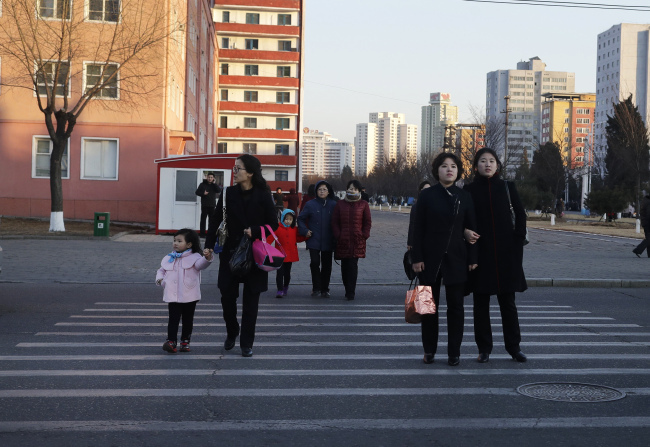 The UN sanctions committee on North Korea approved South Korea's request to permit relevant equipment to be sent to the North for the Koreas' video reunions of divided families on humanitarian grounds. Those subject to the sanctions waiver reportedly include cameras and other video conferencing equipment. South Korean President Moon Jae-in and North Korean leader Kim Jong-un agreed at their third summit in Pyongyang in September last year to make efforts to allow separated families to hold video reunions and exchange video messages. Video conferencing rooms in South and North Korea need repairs as they had not been used since the last reunions in 2007. Adopted in 2005, the video-based reunions have been held seven times.